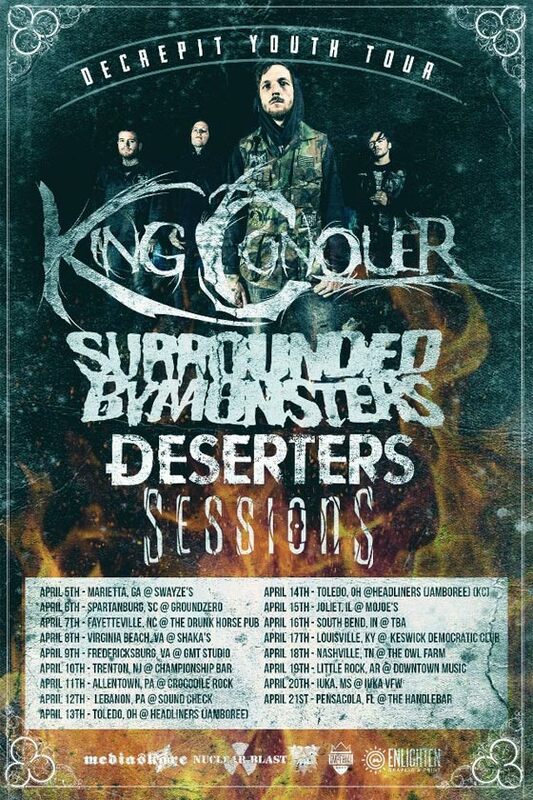 King Conquer has pretty much been on tour all year. Going from one tour to another with no plans of stopping their takeover. The Decrepit Youth Tour starts April 5 in Georgia and ends April 21 in Florida. Joining the grueling metal group are Surrounded by Monsters, Deserters, and Sessions. Having all four of these acts is sure to leave a path of destruction in the venues they play. a lineup is always exciting anyways.